According to the Old Testament, God entered into humans and gave them life through a mixture of two things: the dust of the earth and the power of the breath. So, to reconnect with the original human that you are, created in the reflected image of God, you want to bring breath back to life so it can be felt blowing into the minute cells of the body, awakening their felt presence. To experience God as actual, palpable, felt presence, we need to get back in touch with the sensations and breath that self-image conceals. We want to soften and dissolve the mask of self-image--our prides, our ambitions, our wants, our fears--and trust in the feeling presence of the body. Just sensation. Just breath. Underneath the mask, on every part of the body down to the smallest cell, is an oceanic web of minute, little pin prick blips of sensation, so small in size, constantly moving and changing, the cellular motes of matter into which life has been blown. But mostly we have little to no awareness of this great oceanic web of feeling presence. We’re lost in the unbidden, random thoughts of our mind that cover over that web like a blanket over a statue that’s yet to be unveiled. To resurrect God’s presence in our own bodies, we want to bring our sensational presence back to life, and just as God did in the moment of Adam’s creation, we want to breathe into every little cell of the body, every nook and cranny. God did not just blow life into some of the dust motes that coalesced to form Adam’s body. God blew into all of them. Breathing into the entire body in this way brings the tingling, vibratory, humming, buzzing sensations of each and every cell of the body back to felt life. 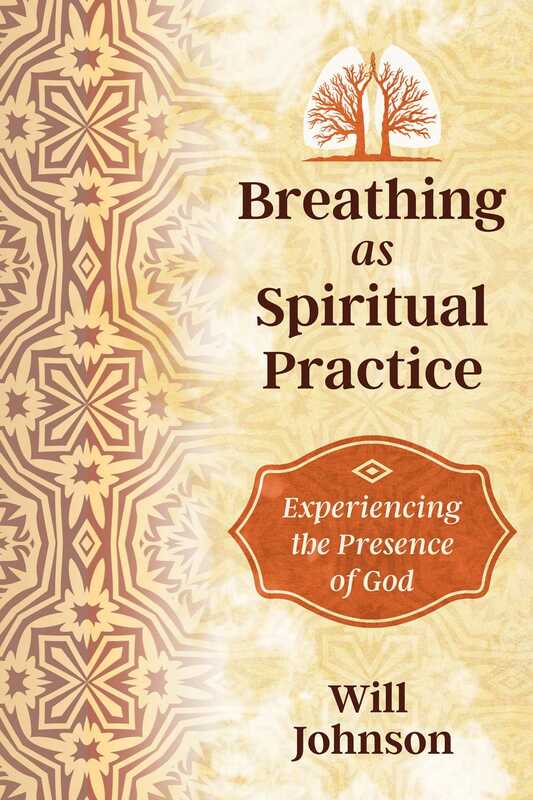 The practice of Breathing God, of feeling the presence of God as the fundamental ground of your bodily life, is twofold. First you can shift your awareness away from the thoughts in your mind back to the sensations that exist on every part of the body, but which you can’t feel when you’re lost in the thoughts that feed your self-image. Just by remembering to feel--perhaps passing your awareness at first through each and every part of the body, slowly, methodically, over and over again to reinforce this remembrance--you can start breaking free from the gravitational pull of the mind that thinks thoughts. The good news gospel is that, through no heroic efforts and expenditures of energy but simply by redirecting and paying attention, sensations start coming back to felt life. Over time, every part of the body can wake up--first one part, then another. And suddenly the ground is prepared for the great leap in which you start to feel the body not as an assortment of individual parts--a hand here, a knee there--but all at once, as a unified field of felt presence. And then, secondly, you can start relaxing so deeply that the breath you’ve worked so hard to become conscious of, your inspiration/inhalation, can be felt to stimulate and touch into every single cell of your body. And just as unconscious restricted breath and a generalized numbness of body are reflections of each other, so too are awakened body and a more freely flowing breath. In truth, the twofold practice--bringing feeling presence and breath both to life--can’t really be divided into two as the one reinforces the other. If you bring body to life, breath naturally becomes fuller. Through becoming more aware of the breath, and surrendering to its potency, sensations come alive. Breathing into the whole body, then, is a direct reflection of that original breath in which God gave life to Adam by blowing into all the dust motes of his as yet lifeless body. And here I feel a real dilemma because my mind and my body are telling me two opposite things. My mind objects strongly to the notion that every breath I take could be felt to touch into my entire body because I know as scientific fact and certainty that I don’t breathe into every cell of my body, only into my lungs. And yet there’ve been moments when every inhalation I’ve taken could be felt touching into and awakening sensation everywhere in my body, stimulating the latent shimmer of every single cell all at once. There’ve been moments in which breath, in addition to being the source of oxygen that my body so needs as its most vital food, has also become a force that could be felt touching into my body, not just into my lungs alone, but everywhere. From the perspective of my mind, what I’ve just said sounds ridiculous, but from the perspective of those moments of awakened body and breath, I can see how both are equally true. One breath keeps me alive. The other breath awakens God in me.